Feel free to commune with nature in these comfortable rooms overlooking the lush, manicured lawns and flower beds bursting with vibrant colours, while majestic trees stand like sentinels on guard. 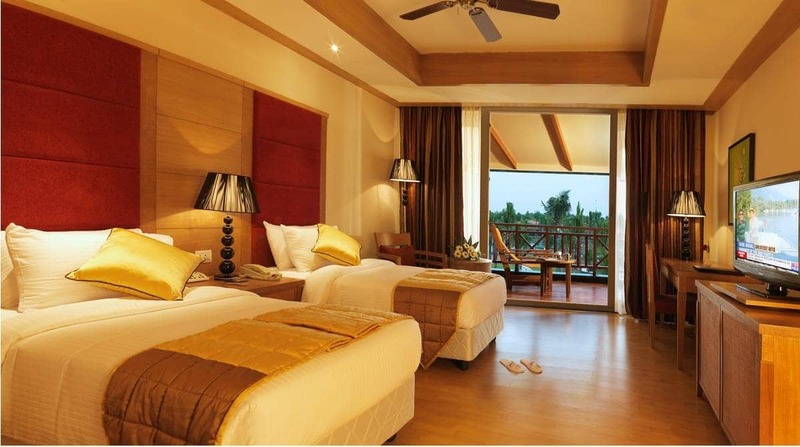 These garden view rooms come with polished wooden flooring, wooden wall panelling, diffused lighting with refined interiors and all modern day amenities that spell sheer comfort. Intimate, cosy sit-outs are the perfect way to imbibe the exceptional natural beauty of the Resort and get a feel of the outdoors even whilst you are indoors.